I almost jumped when I saw the cover reveal update on the Percy Jackson page, thinking it would be for Rick Riordan's well-anticipated new series, Magnus Chase and the Gods of Asgard, starting with The Sword of Summer. And in a no-demeaning way, it is for the third crossover story on Percy Jackson and Kane Chronicles series. The new crossover story is called The Crown of Ptolemy. 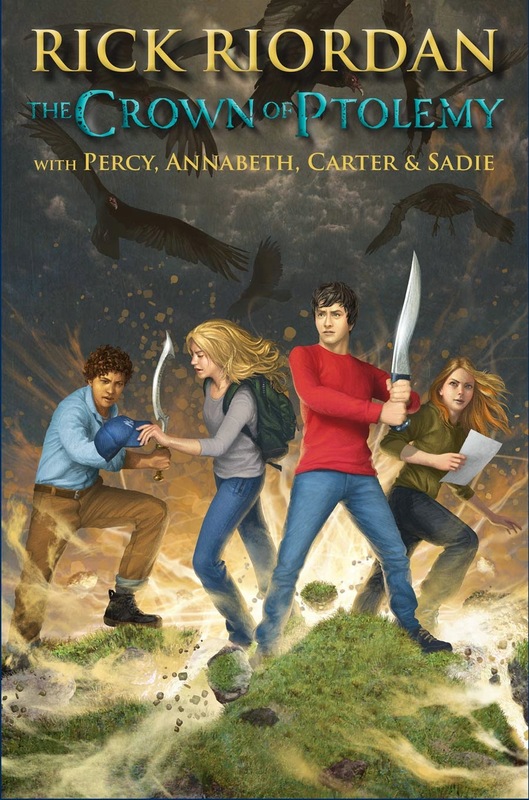 It brings the joint effort of the four fantastic main characters from said two series: Percy Jackson, Annabeth Chase, and Carter and Sadie Kane. If you'd like to read a sampler, you could head over to Hypable. What can you say about the new cover of The Crown of Ptolemy By Rick Riordan? The Crown of Ptolemy by Rick Riordan will be published in the following dates: trade paperback edition of The House of Hades, March 31, 2015; and eBook and Amazon editions, May 12, 2015.